Can be played indoors & outdoors! Four In-A-Row is played by players taking turns inserting coins into the seven slots on the top. A game is won when any one player gets four of their color coins in a row (vertically, horizontally or diagonally), so each player must always keep an eye on their opponent's moves to try and block their four in a row. 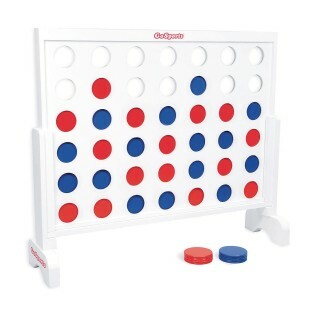 The giant wooden Four In A Row game is made from premium wood materials. The game can be quickly assembled in seconds and can be played indoors or outdoors. 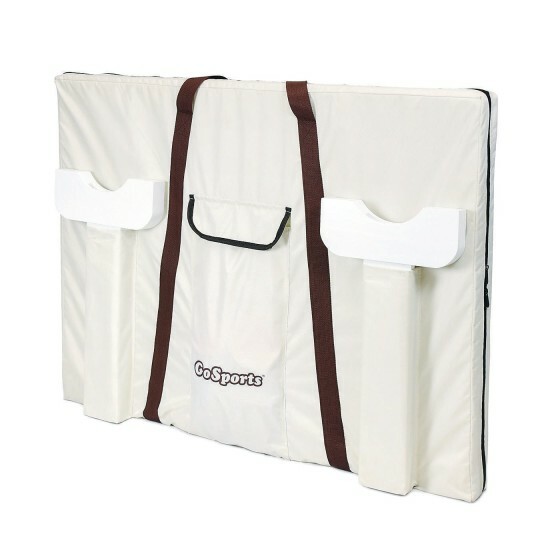 Includes a premium padded carrying case, which allows for the game to be neatly stored when not in use. Not designed to be permanently set up outside and exposed to the elements. Game measures 32” high and 38” wide. Assembled Width 38" Assembled Height 32"
I work recess at an elementary school in MD and am also in charge the play equipment. 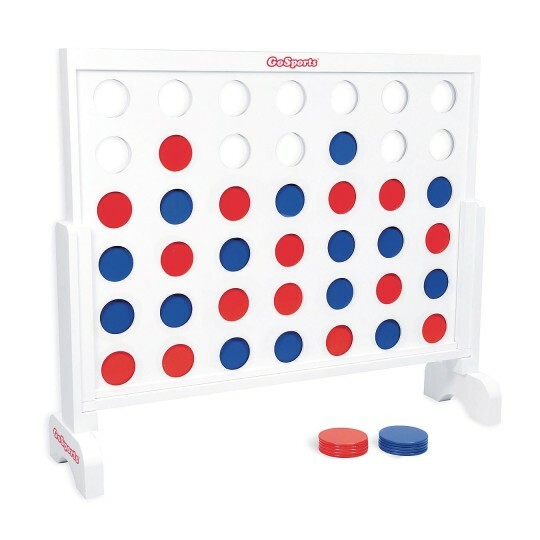 We purchased 2 of these Giant Connect4s for our school outdoor recess August '18. The kids seem have a lot of fun with them and they have held up surprisingly well to daily use. They have added some variety to our play equipment. Couple of caveats to keep in mind in you intend to order them for same purpose. The bags they come in while well thought out have not held up well especially the zippers. This may be the result of having 3rd/4th graders putting them away. Also it is now February '19 and I just spent the last couple hours sinking some small screws in various places to repair some cracks that have developed. Am hoping my repairs will work pretty well and we will get a lot more use from these toys.